The second half of 2013 has so far been pretty dire on the birding front as far as I'm concerned. 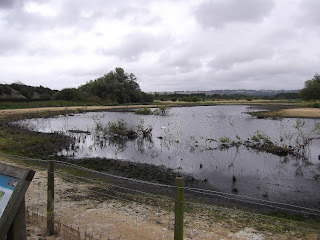 Not having the chance to venture very far recently I've focused a bit more on my local patch at Holmethorpe. Holmethorpe is one of those sites that can have a great run of decent birds or a mind-numbing dearth for ages. While not visiting the patch as much as I should do, I record all the sightings there for the Holmethorpe blog. 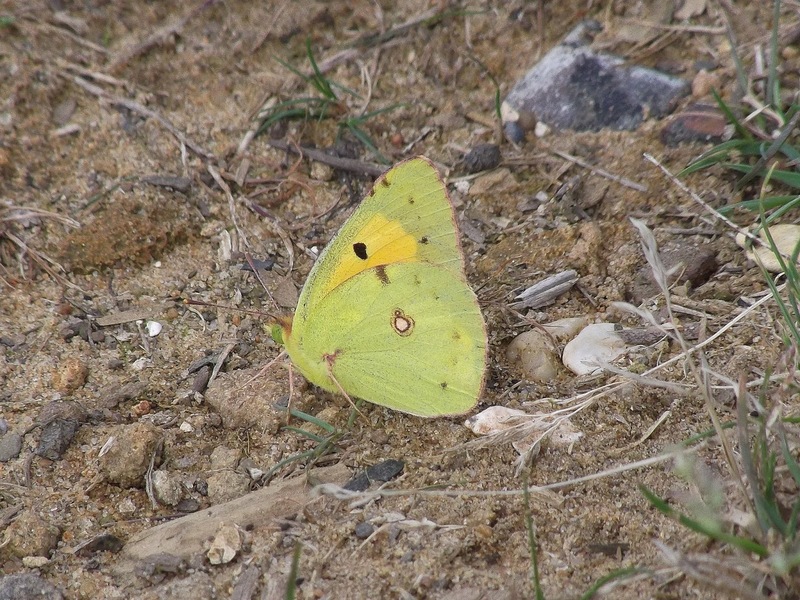 It's been pretty quiet there in recent weeks apart from a few decent butterflies like the Clouded Yellow. This in itself is quite strange really because part of the patch, The Moors, is really turning into great habitat for waders at the moment. We are getting some – plenty of Green Sandpiper and the odd Common Sandpiper – as well as a number of Little Egret, but bugger-all to get the pulses racing. And yet at the other end of Surrey, Tice's Meadow has had plenty of good birds, a Wood Sandpiper that stayed for a week, plenty of Dunlin, Ringed Plover, Ruff, plus five Yellow Wagtails briefly today. What I'd do to see a Greenshank or a Wood Sandpiper on the local patch before the end of the week! Better still a Curlew Sandpiper or a Temminck's Stint. Wow, that would be something. It may happen, you never know. Instead of watching the same old waders bobbing up down around the edge of the Moors pools, Annie and I went out late yesterday afternoon for a bit of sun, not really knowing where we were heading. In the end we turned up at Hindhead and the Devil's Punch Bowl, somewhere I haven't been to for a couple of years. The last time I was there the main A3 route ran right the way through it, whereas now the bypass and tunnel mean that it's a car-free zone, and all the better for it. The place is magical. 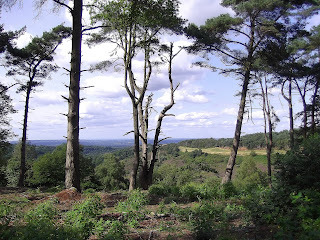 Wonderfully quiet and peaceful, fantastic views and there were plenty of butterflies about. Now, no matter how hard I try, I can't get Annie even faintly interested in birds, but butterflies... this an area she has taken to straight away. 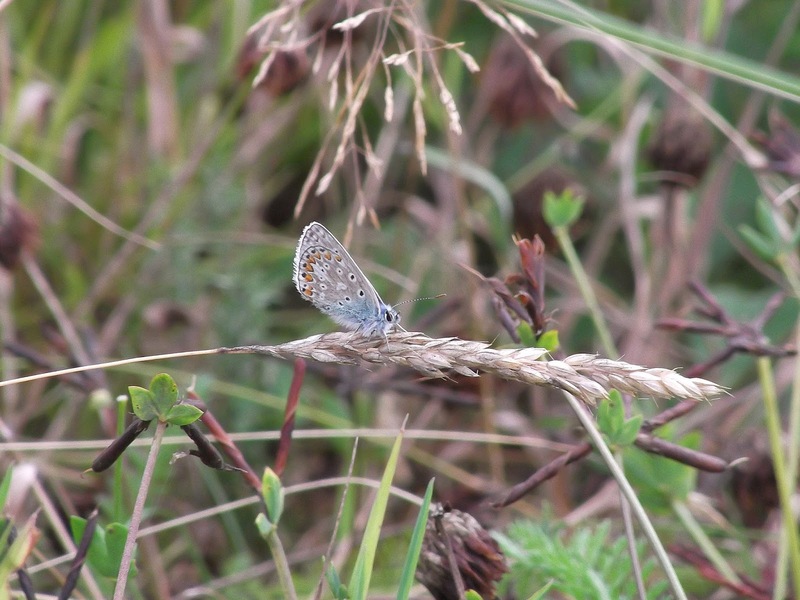 We saw quite a few, and being even more of a novice on the id of butterflies than I am with birds, we couldn't put a name to many of them. 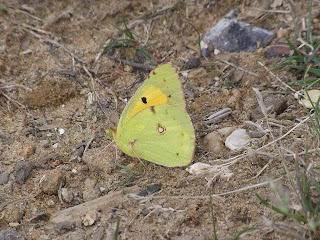 Some I did know, the best of which was the Clouded Yellow. There were at least six we came across, probably more. They are a species that don't open their wings when they rest or feed so you only get a fleeting glimpse of the striking dark borders on the upper part of their wings when they fly off. Exciting though, I have to admit. 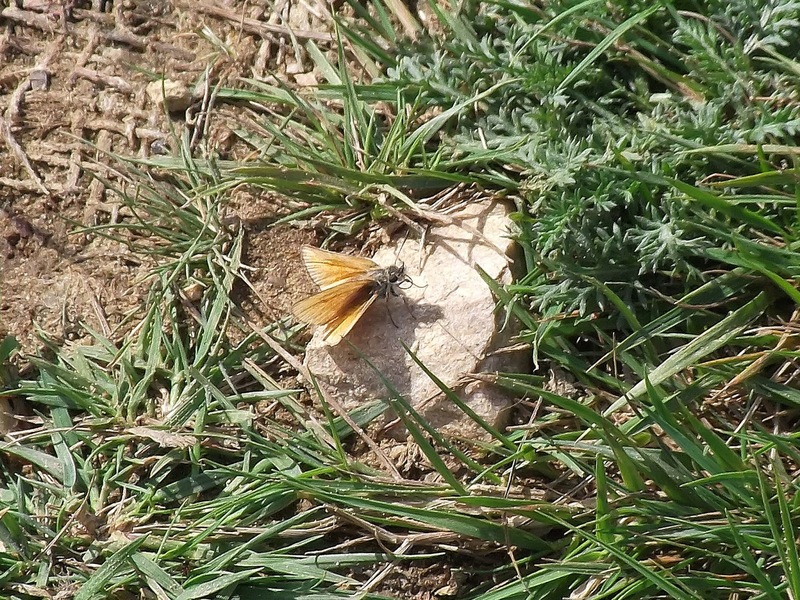 There were plenty of Common Blues around, as well as Small Skipper (I found out later via butterfly guru and Racing Post pal Francis Kelly what the above photo was). There were some bigger blue butterflies flying about but I didn't get a photo so have no idea what they were. All-in-all though, an excellent afternoon. I only hope I don't get too involved in all this butterfly lark, as one obsession is plenty for me at the moment.